Today is about the Ennea Type 5, known as the Investigator, the Observer, the Expert. This is a very intellectual heady kind of person. Very, very smart. They have a basically desire to master, to be an expert, to have worth through knowledge. They basically fear then to feel that they are unworthy because they don’t know. So this is the trigger for the Five to find themselves in the position where they don’t know. It’s extremely disturbing behavior. The Five is probably our deepest introvert on the wheel. These are loner types – like I said, very intellectual and this kind of keeps them from feeling really connected to their emotions; instead of getting real bogged down by emotion, which of course interferes with the ability to think logically, they will instead observe how they’re feeling and sort of intellectualize their experiences. This helps them appear calm, cool and collected to the public. The world at large does not have much insight behind the poker face of the Type Five. What is the basically trigger or the stress behavior for the Five? Interestingly, we call it avarice, which really is kind of a [inaudible 1:52] It’s a holding-on-too-tightly. And this comes from a deeply held belief for the Five that there’s not enough to go around. The Five kind of comes into the world with what we call a “Scarcity Mentality”. A feeling like, “I have to protect my inner resources. I have to take care of what’s mine because there’s not enough to go around.” And so this can be stuff. This can be money. But it can also be information. It can also be availability. It is kind of holding yourself close. So the problem area that we find for Fives – on the one hand, they are always respected in the workplace for their knowledge. They are always the one with all the information. But the flip side is the relationships and relationality, both in work and in home. Fives are really not seeking to connect because that would steal their energy. So they’re holding themselves too tightly and the people who are trying to connect with them can often feel rebuffed or not seen. Therefore the work for the Five is to really question that inner belief. “Is it true that I don’t have enough to go around?” Is that really the case that you have to withhold yourself and your stuff and your time from other people. Perhaps connecting and sharing could build you up more than you realize. Many Fives do say that once they force themselves to go to that party or force themselves to have that deep emotional conversation, they really feel uplifted by the connections that they experience. It’s just a little bit scary because they’re so used to being so intellectual in their approach. So Fives, what I’d like to convince you of is that knowing everything is not the root of your self-esteem or your worth. There are people who want you just for you. They want to know how you feel about things. They want to know what you think is funny and interesting. They want to connect with you. And if you would allow that happen, you would feel much more energized and uplifted in your life. If you’re interested in learning more about the Enneagram, please consider coming in for an Enneagram appointment. 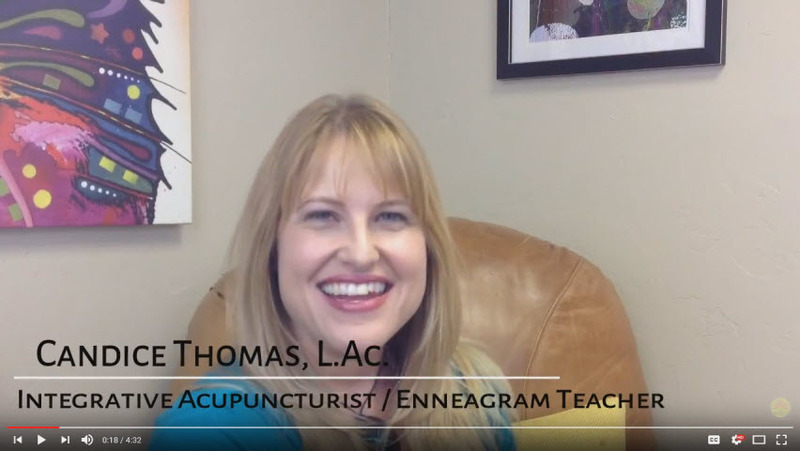 To learn more about the health benefits of acupuncture, nutritional therapic and other aspects of holistic medicine, including the Enneagram personality typing system, I invite you to subscribe to our YouTube channel.